Stock markets around the globe are mixed with very little in the way of new headlines. Yesterday’s GDP data for the U.S. showed the nation’s economy expanded at a 2.3% annualized rate in the second quarter, which was a touch below most analyst expectations. Commodities again feel under pressure as gold looks poised to retest multi-year lows on reports of “China’s H1 gold consumption plunging 19% on year”. Oil is also under pressure on morning headlines about record exports from China, Iran and Iraq. Here at home today the EIA releases its monthly Petroleum Supply report, which covers May activity. U.S. crude production hit a 44-year high in April of 9.7 million barrels per day. In their last update, they forecasted U.S. production would drop by 50,000 barrels per day in May and continue tapering off in the last half of the year. Obviously the trade will be anxious to see signs of this actually occurring. Remember, U.S. crude inventories are now estimated to be some 35% or 125 million barrels (plus) above the long-term 30-year average for this time of year. We also get the latest Baker Hughes rig count data this afternoon, along with energy companies like Exxon, Phillips 66, and Chevron reporting earnings. Also out today is the second-quarter Employment Cost Index, a closely watched indicator of potential inflation. Consensus is for an increase of +0.6%. Obviously, a big gain here would increase expectations for the Fed to raise rates in September or December. Looking to next week, investors are very anxious to see the July Employment Report which is due out next Friday. This is the first of just two monthly employment reports before the Fed’s next meeting in September. Other economic data next week includes: Personal Income and Outlays, PMI Manufacturing and Construction Spending on Monday; Factory Orders Tuesday; International Trade Wednesday. It will also be another busy week for earnings. Most of the major bellwethers have already weighed in but there are a lot of energy and biotech results still ahead. Also be aware that China weighs in over the weekend with Manufacturing data, which comes ahead of key trade data next Friday. In the brutal commodities meltdown, all U.S. states are not created equal. In fact, the impact has been vastly different. The Bloomberg Commodity Index last week reached a 13-year low and has plunged 61 percent since its peak in 2008. That matters a lot in, say, Wyoming, Louisiana, Texas and Nebraska. Not so much in New Jersey or Massachusetts, for example. The map below shows the top 10 states with the greatest exposure as measured by mining and agriculture’s share of the economy in 2014. The darker the color, the more the state’s economy is at risk. Wyoming is home to most of the top producing coal mines in the U.S. Its mining and agriculture industries generated 36 percent of its economic output in 2014, more than any other state, according to Moody’s Analytics’s calculations using Commerce Department data. The top nine states on the map got at least 10 percent of their gross state product from energy, mining and agriculture last year: Wyoming, Alaska, North Dakota, West Virginia, Oklahoma, Texas, New Mexico, Louisiana and South Dakota. Another six got more than 7 percent, compared to just 3.9 percent for the U.S. as a whole. New Jersey, Massachusetts, New York, Rhode Island and Connecticut have almost none of their economies in those industries, just 0.3 percent or less. A year ago, Federal Reserve policy makers and many private economists viewed falling oil prices as an economic boom that would boost consumer confidence and spending. While there’s been some evidence of that in restaurant sales for example, it’s been partly offset by the slowdown in mining and farming that has reduced employment in a checkerboard of states. The commodities collapse has cut monthly employment gains in the U.S. by around 50,000 a month this year, estimates Mark Zandi, Moody’s chief economist in West Chester, Pennsylvania. Farming has seen a less significant loss of jobs, but “we will see much weaker income numbers in agriculture-producing regions,” he said. That’s also reduced wage growth in those states, Goldman Sachs Group Inc. economist David Mericle wrote in a report July 20. While Federal Reserve Chair Janet Yellen has said there are tentative signs wages are picking up, “a counterpoint to this generally encouraging picture is that the shale states have seen major setbacks recently,” Mericle wrote. Studies clearly show that rescue applications during the late vegetative stages can result in increased yields and economic returns. However, it is important to remember that dry conditions after the rescue N application can limit the effectiveness of additional N because water is needed to move N into the root zone. Is It Too Late? Nitrogen applications after R1 (silking) are generally not encouraged, as some studies have shown that economic yield response to N fertilization seldom occurs after pollination. 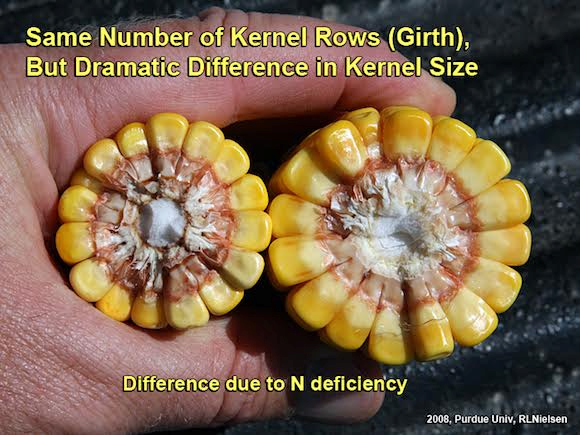 However, under severe N deficiency, some response may occur to applications of low rates of N (30 to 60 pounds) as late as three weeks afte r pollination (Thomison, 2010). There’s so much milk flowing out of U.S. cows these days that some is ending up in dirt pits because dairies can’t find buyers. 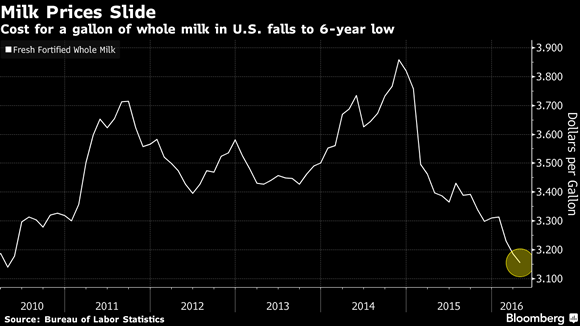 Global dairy prices have dropped 39 percent from an all-time high in February 2014 and are the lowest in five years, United Nations data show. In Chicago, benchmark Class III milk futures, used in cheese making, are down 36 percent to $16.11 per 100 pounds from a record $25.30 in September. Prices may fall to $14.41 by the end of the year before recovering in 2016, said Tom Bailey, a New York-based analyst at Rabobank International.